Home-Based online English tutoring jobs are a very convenient and profitable option to earn a side income. You can teach Chinese toddlers or help students preparing for their TOEFL – the possibilities are endless. But the competition is quite high. How do you market yourself, find students and fill your schedule? This post explicates six of the most effective ways. In recent years, the popularity of online English teaching and tutoring has grown by leaps and bounds. More teachers have become open and receptive to the idea of online teaching, while a younger generation of digital natives with access to high-speed internet connections has rapidly boosted the demand for online classes and lessons. The hardware and software requirements needed are certainly accessible to most people. With a working microphone and webcam, a quiet environment, free software like Google Hangouts, Zoom, or Skype, a high-speed Internet connection, and lesson plans and exercises that can be easily administered online, you are ready to embark on a fulfilling home-based online English tutoring career. Online tutoring is particularly relevant for those who specialize in English as Foreign Language (EFL) and English as a Second Language (ESL). Many of your potential students may reside in other countries; remote tutoring can thus be crucial in helping you to connect with the particular group of students who will benefit most from your expertise. Even if you decide to move back to your home country after a teaching stint in a popular EFL destination like Japan, South Korea, or China, you can still connect with students from those countries through the internet (but you will then have to take the time difference into account). You also do not have to worry about transportation costs, long travel times due to bad traffic, or having to arrange for childcare while you are working. 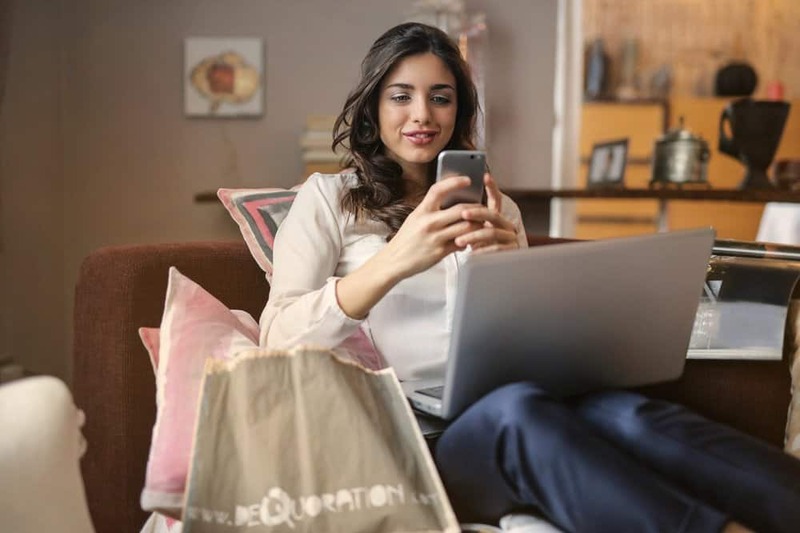 The benefits of efficiency and convenience are clear, but how does a new English tutor find online tutoring assignments? Many tutors who are new to the online teaching model decide to work for an established company to get more experience before embarking on a solo career. There are many different online learning companies that have different target markets and age groups. In this post, you will find a list of 12 companies to teach Chinese students online and a ton of helpful tips! They may have different tutor requirements, e.g. citizenship from a particular country (mostly the UK, the USA, Canada, Australia, or New Zealand), a bachelor’s degree, and/or a TEFL teaching certification. The hours and payment rate vary according to the company and your qualifications, but on-the-job training and technical support are usually provided. The pay rate can range from $10 to $30+ per hour. VIPKID is one of the most popular online teaching companies. Thousands of happy teachers work for them on their own schedule. Read this post, where we walk you through the process of getting hired there. Online tutoring sites (or marketplaces) are another convenient way for home-based online English tutors to find potential students. They provide different functionalities and customer bases. 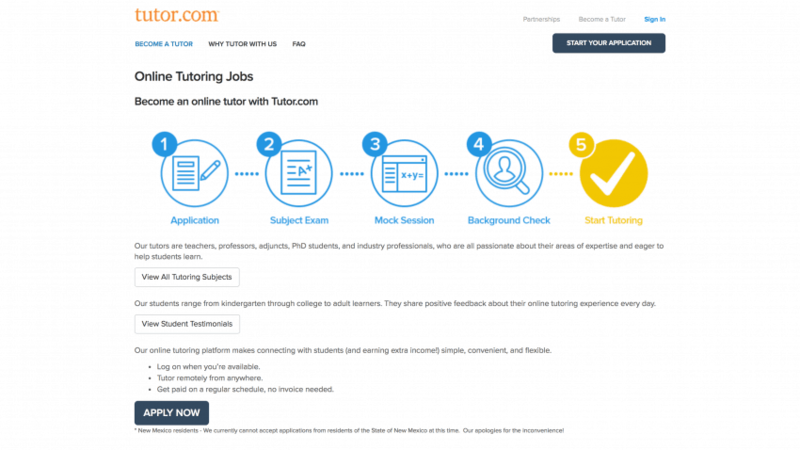 In general, you will have to pass through a screening and verification process before you can start to advertise your tutoring services on these platforms. They generally operate in a more decentralized way, but some platforms do provide helpful resources for tutors in the form of articles and teaching materials. Online tutoring services are often in demand in popular freelance platforms such as UpWork.com or Freelancer.com. You can create profiles on these platforms to advertise your services and apply to job postings for ESL and EFL tutors. These platforms have internal payment systems that ensure that you get paid for each tutoring job you take on, but the platform will also take a 10-20% commission from your earnings. You can also rely on popular websites that host updated job listings (e.g. Dave’s ESL Café) to find job opportunities from individual clients and online teaching companies. When so many home-based online English tutors can be accessed with a few mouse clicks, it is often difficult to stand out from the crowd. You can always invest in a personal website, some well-written articles, and even some free video lessons to showcase your personality, teaching style and expertise as a tutor. Your articles and videos may gain significant traction on their own, thus ensuring that you catch the attention of a large number of potential tutees (and/or their parents). Working for home has its advantages, but it can also be a lonely and isolated experience. Be sure to socialize with your fellow teachers and tutors by participating actively via relevant Facebook pages (e.g. the British Council’s Teaching English Facebook page), Facebook groups, LinkedIn, or Twitter conversations. Apart from sharing resources and expertise with your fellow tutors, you may also gain valuable referrals and tutoring opportunities. A fellow tutor with too many potential tutees on his or her hands can redirect them to you if he or she is confident about your teaching abilities. You can also make your lessons more exciting by collaborating with other online tutors. Teaching online allows you to access students all around the world, but there is no reason to ignore those who live in the same neighborhood, city, or country. You can spread the word about your services the old-fashioned way, by placing fliers around your area and telling people in your offline social network about your availability as an online English tutor. You can also spend some money to advertise your services on social media, local publications, and local and international classified websites (e.g. Craigslist). To convince potential students to pay for your services, you can demonstrate your aptitude by offering trial lessons and free downloads of quality learning materials. The barriers to entry for home-based online English tutoring jobs are low, but this translates to intense competition in the online market. You do not necessarily have to become a full-time online tutor, however. You can always experiment with part-time online tutoring before deciding to take the full plunge. If you do, there will be the initial challenge of figuring out the technicalities of creating your website, marketing your services effectively, creating a cancellation policy, pricing your services, managing your time, billing your students, collecting payments, and filing your taxes. Those who excel at independent online tutoring are basically self-made entrepreneurs that know how to target a specific client base and how to brand and market their services effectively. The path of cyber-entrepreneurism may seem attractive and compelling to those who want control over their work schedule and the opportunity to command a higher pay rate. However, you should first consider your efficacy as an online tutor. Apart from having good software and hardware, most companies and students are looking for tutors who can convey their passion and enthusiasm for learning online. You have to be comfortable with teaching in front of a web camera – knowing how to use facial expressions and upper body gestures to better communicate with your tutees will be a major advantage. Success is certainly not guaranteed, you also do not have much to lose by trying. How will you enhance their learning? What exactly will you be teaching them? Once you have a clear idea of your unique selling point, it will be easy for you to connect with the tutees that are the best match for your services. With clear and effective communication, you start establishing long-term and mutually beneficial relationships with tutees across the globe. To gain deeper insights into the success factors of an online ESL tutoring career, read our super-comprehensive starter guide to teaching English online.